Price is for a pair of chairs I have more than one pair available. One chairs needs to be upholstered. 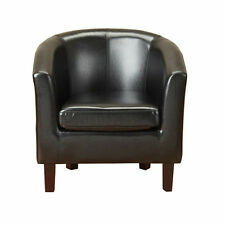 NOTE: Only SIX available without arms Set of 6 black iron chairs. Perfect condition. Just painted and repholstered. New 100% linen in natural colour. The table in the photo does not have the glass on because of reflection, but it is in perfect condition. The upholstery is not waterproof. Price is for a pair of chairs I have more than one pair available. solid oak chair ready assembled with leather look pad. 46cm set height. Reasons to buy our SWISH Black & White Gloss dining chair - Adjustable to counter act any uneven floors. - Soft Touch Faux Leather. - All our products are manufactured to the current UK & EU Regulations and are only fitted with parts approved by the British Standard Codes of Practice. StylishLeisure Sofa Chair. This stylish chair can easy match of any furniture. 1 x Instruction Manual. Equipped with a swivel seat, a footrest and a gas lift they can be adjusted to fit into any bar situation. VERANO® BAR STOOLS - Jordan Collection. lounge, kitchen, dining room, bedroom, study room, garage. 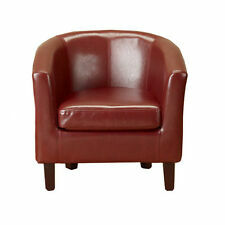 Velvet Fabric Occasional Chair Retro Sofa Dining Bedroom Living Room Seat Padded. Single Modern Designed Sofa Chair. Made from velvet fabric and with wooden legs. Every single chair is individually hand-crafted by using traditional techniques. Product Information: These are Kimberley dining chairs manufactured in the clasic Keeler style in a choice of 6 colours. These Kimberley (Keeler style) chairs are unique to Your Price Furniture. NEED IT FASTER?. Chairs recently recovered with a multicoloured botanical print . Slight scratches on table top. Buyer to collect as very heavy. Scottish Highlands, Scottish Isles, Northern Ireland, Isle of Man and Isle of Wright. No Reserve. Material: Recycled polypropylene with reinforced glass fiber. Southern Ireland (EIRE). AB, DD, IV1-63, KW1-14, PA21-41, PH1-50. • The UK’s Largest Supplier of Mango Furniture. • 100% Mango Wood throughout. Dining Room. We are here to help and will always endeavour to resolve any issues as quickly and amicably as possible. 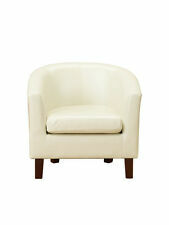 Christopher Wray modern occasional chair constructed in solid beech with a wenge finish. 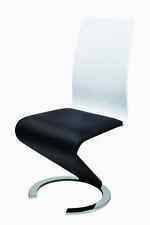 Magis Club Cyborg Armchair Glossy White Dining Chair RRP£372 SALE SALE. The Magis Cyborg armchair by Marcel Wanders is a new design that really captures the imagination. " Looks a very good product. Main data of dining chair/coffee chair conference chair mustard yellow dining chair/dining room kitchen table chairs Color: mustard yellow. 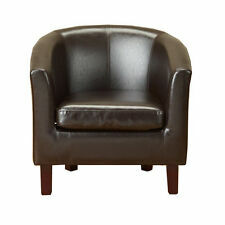 It can be used in the Dining Room, Kitchen, living room, bedroom, as a tea/reading corner chair or as a desk chair.